In late July, as tens of thousands of GA aircraft owners were converging on Oshkosh for AirVenture 2017, Lycoming published Mandatory Service Bulletin 632 titled “Identification of Connecting Rods with Non-Conforming Small End Bushings.” This was a very nasty service bulletin affecting Lycoming engines of all models that were built, rebuilt, overhauled or repaired during the past two years. Lycoming quickly published two revisions (632A and 632B) in rapid succession. SB 632B addressed a problem with small-end connecting rod bushings (part number LW-13923) that were used in Lycoming factory new and rebuilt engines and shipped by Lycoming to overhaul shops and mechanics between November 2015 and November 2016. It turns out that there was a quality assurance problem with these bushings, and many of them had an outside diameter that did not conform with specifications. These bushings are pressed into the small end of Lycoming connecting rod assemblies using a hydraulic press. 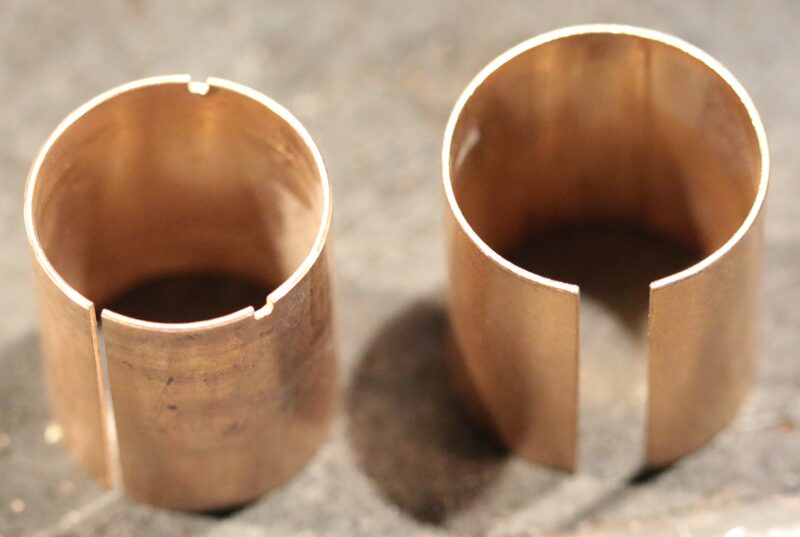 If the bushings are too small in diameter, the press-fit isn’t secure and the bushings can migrate out of the connecting rod when in service. That’s exactly what seems to have happened to a relatively small percentage of these non-conforming bushings, hence the mandatory service bulletin. Lycoming used these bushings in-house to build connecting rod assemblies, some of which were sold to overhaul shops and mechanics between November 2015 and February 2017, and most of which went into Lycoming factory new and rebuilt engines. Any engine that has these non-conforming bushings, whether built by the factory or overhauled or repaired in the field, are affected by SB 632B. Why is SB 632B so nasty? SB 632B requires that all engines that might possibly contain these non-conforming bushings have all their cylinders removed within the next 10 hours. 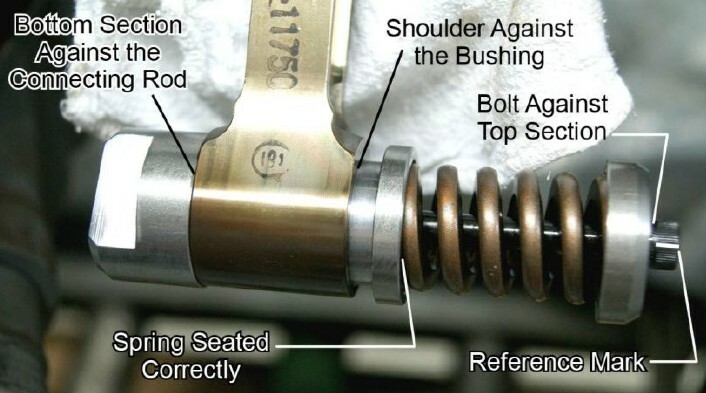 With the cylinders removed, the securing of all small-end connecting rod bushings then must be tested using a special tool (“ST-531 Connecting Rod Bushing Press-Out Verification Tool”) to apply a calibrated force to each bushing to see if it can be displaced. If the bushing moves during this press-out test, then the connecting rod assembly must be removed from the engine and sent to Lycoming, and a new connecting rod assembly with a known-good bushing must be installed. Lycoming initially estimated that the press-out test will have approximately a 20% flunk rate, but from what we’ve been hearing that estimate may turn out to be way too optimistic. As someone deeply involved in piston GA maintenance, I find what SB 632B requires to be a horrifying prospect. The requirement to remove all cylinders within 10 hours is bad enough; there is a long history of catastrophic engine failure after removal and replacement of all cylinders in the field that I’ve written about extensively. But the prospect of having 20% or 30% or 40% of the connecting rods removed and replaced in the field represents a far greater risk, because the majority of mechanics have never before performed this operation (notably tightening rod bolts to a specified stretch using a special micrometer). The rod bolts are the most highly-stressed component in the entire engine, and tightening them properly is ultra-critical. In my opinion and the opinion of every highly experienced A&P/IA I’ve spoken with, this is NOT work that should be attempted by line mechanics in the field working on engines mounted in airplanes. It really should be done only by an experienced technician in an engine shop with the engine mounted on a stand with unencumbered access. In short, I quickly concluded that that the cure called for by Lycoming would very likely be worse than the disease, and that it’s likely that there may be more catastrophic engine failures caused by maintenance errors in performing SB 632B than would be caused by the migrating bushing problem that SB 632B addresses. After conferring with a few very experienced A&P/IAs who have much more experience maintaining Lycoming engines than I do, I also concluded that there is a far less invasive and risky and expensive method that would effectively detect bushing migration and mitigate the safety risk without creating a bigger one in the process. While in Oshkosh, I spoke to several Lycoming executives who indicated that they expected the FAA’s New York Aircraft Certification Office (ACO) to start the wheels in motion to issue an emergency Airworthiness Directive the following week that would mandate compliance with SB 632B. I then sought out AOPA’s David Oord, with whom I’d recently worked so successfully on dealing with the Continental camshaft gear issue. Dave and I discussed that the FAA had not issued an Airworthiness Concern Sheet (ACS) about this Lycoming bushing issue in order to solicit input from the affected aircraft owner associations, something they had promised to do when we met with the FAA Engine and Propeller Directorate at a GA engine summit meeting in 2015. Dave and I agreed that it would be appropriate for AOPA to ask the FAA to do that so we would have a reasonable time to research this issue and provide the FAA with a thoughtful response before their AD process began, and Dave promised he’d make some calls as soon as he returned to his office. On Tuesday, Dave phoned to tell me that that he’d heard back from the FAA, and that they said they would not be able to issue an ACS because they considered the issue too time-critical. Dave pressed for input to the process from the aircraft owner community, and the FAA agreed to try to set up a conference call between aircraft owner representatives, key FAA personnel, and representatives of Lycoming. That sounded better than nothing. The next morning, I was awakened by another phone call from Dave, who told me that the FAA was willing to do a conference call, but it had to be TODAY. Yikes! We identified several other qualified aircraft owner representatives to be on the call to represent Cessna and Piper owners, and all agreed to participate. The call was scheduled for 3 pm Eastern. I spent two hours drafting a bullet-point document containing our questions, concerns, and proposed alternative solution to SB 632B, and emailed it to Dave, who sent it to all the participants expected to be on the call from the FAA, Lycoming, and the owner associations. The conference call took place as scheduled and lasted for an hour. However, Lycoming declined to answer ANY of the questions we posed to them, telling us that the information was proprietary and Lycoming was sharing it solely with the FAA and no one else. Lycoming would not tell us how many displaced bushings have been found, how many connecting rod failures had occurred due to bushing displacement, what the distribution of engine times was when bushing displacement was detected or connecting rod failure occurred. They would not tell us how many engines they expected to be affected. They would not even tell us how much the special ST-531 press-out tool would cost, or how soon they could get enough of these tools out in the field to perform the required test. The FAA would not tell us, either, saying that they were not permitted to release any of this information without Lycoming’s permission (which clearly was not forthcoming). We spent the better part of an hour asking questions but got no answers. It was absolutely exasperating. We spent the rest of the time on the call trying to convince Lycoming and the FAA that there was a far less invasive and risky and costly way to deal with the displaced bushing problem, and we described it to them in detail. But it became clear that Lycoming and the FAA had already decided that SB 632B was necessary, despite the maintenance-induced failure risk, and that they were not interested in considering any alternatives. As the call concluded, I felt totally disgusted with the total lack of cooperation exhibited by Lycoming and the FAA. I have been involved in working with the FAA on numerous Airworthiness Directives during the past two decades, and this was unquestionably the most unreasonable performance I’ve seen. On Thursday, we worked with Dave to create a formal joint letter to the head of the FAA’s New York ACO. In it, we expressed our disappointment in how the FAA seemed to be dealing with this issue, and included the bullet-point document I’d created outlining our questions, concerns, and recommended alternative to SB 632B. In the letter, we specifically asked the FAA to approve our proposed minimally-invasive alternative as an Alternate Means of Compliance (AMOC) as outlined at the end of the document. Needless to say, the New York ACO convened a Corrective Action Review Board (CARB) that rubber-stamped Lycoming’s requested corrective action in record-breaking time. On August 9, the FAA issued AD 2017-16-11 mandating compliance with SB 632B and putting numerous Lycoming-powered GA aircraft on the ground and their owners in jeopardy both moneywise and (IMHO) safetywise. I find this whole sorry episode very disturbing for several reasons. In discussing this situation with companies like Rick Romans and Aircraft Specialties Services and Zephyr Aircraft Engines who are in the business of re-bushing Lycoming connecting rods in the field, it appears that the problem with these loose Lycoming connecting rod bushings has been well-known by industry insiders for more than a year. Several of those firms told me that they stopped installing Lycoming-supplied rod bushings many months ago in favor of PMA-equivalent bushings from Superior Air Parts that fit properly. Given that this problem has been known for quite some time, it seems to me that the FAA could and should have taken a bit more time to solicit and consider input from folks who would be most affected, especially alternative methods of addressing the problem in a less risky fashion, before publishing an emergency AD. Furthermore, I find it unconscionable for the FAA to justify such a draconian rulemaking action on data that it refuses to disclose to the very people who will bear the burden of that rulemaking. I understand that if a manufacturer provides information to the FAA that the manufacturer identifies as proprietary, the FAA is not permitted to disclose it. But it seems to me that the FAA should be forbidden from using such proprietary data to justify issuing an AD. The federal Administrative Procedure Act (APA) guarantees that members of the public who will be affected by federal rulemaking shall have a say in the rulemaking process. I’m not a lawyer, but clearly rulemaking made in the kind of secret “star chamber” fashion that characterized AD 2017-16-11 makes a mockery of the spirit (and perhaps the letter) of the APA. Mike Busch is arguably the best-known A&P/IA in general aviation, honored by the FAA in 2008 as National Aviation Maintenance Technician of the Year. Mike is a 8,000-hour pilot and CFI, an aircraft owner for 50 years, a prolific aviation author, co-founder of AVweb, and presently heads a team of world-class GA maintenance experts at Savvy Aviation. Mike writes a monthly Savvy Maintenance column in AOPA PILOT magazine, and his book Manifesto: A Revolutionary Approach to General Aviation Maintenance is available from Amazon.com in paperback and Kindle versions (112 pages). His second book titled Mike Busch on Engines was released on May 15, 2018, and is available from Amazon.com in paperback and Kindle versions. (508 pages). To add to your list of companies that stopped using Lycoming CR bushing, add Penn-Yan. Unfortunately for me, it was after my overhaul in their shop, so my engine went back to Penn-Yan for this inspection. FYI – it passed with no issues found. Well at least your inspection was done by experienced engine shop technicians with your engine mount d on an engine stand, rather than by line mechanics with the engine mounted in the plane. Curious if Penn-Yan gave you warranty consideration? Penn-Yan fully covered all costs, which is more than I understood that Lycoming did even on their reman/new engines. P-Y covered shipping and 20 hrs of RI, which Lycoming is not, from what I understood. But then the P=Y warranty for their o/h is better than Lycoming’s new/reman. Engine is in transit, hope to have it back in the next 7 days or so. (150 hrs/18 months SMOH). There is a ticket on it in SavvyQA, where I was discussing issues possibly relevant to the SB632 before P-Y contacted me to request the return of the engine. I have to clarify. There were other issues that I had reported to Penn-Yan that in conjunction with the SB632, led Penn-Yan to provide full cost recovery for my engine pull/reinstall. So my situation and warranty coverage may not reflect what all folks qualify for at Penn-Yan regarding SB632. Clayton. I’m curious about what they did for your warraty as I was treated a bit different by Penn Yann. I had my Lycoming O-360-A4K in 2002 Tiger overhauled there in 2016 and P-Y confirmed my overhaul was subject to it. Basically P-Y said if the “bushings move” and out of spec we will cover the labor and parts for the inspection and replacement (by my IA A/P here in Houston), but if they don’t move the tear down labor is on you. The tooling was no charge to borrow for the bushing test. At the end of the day the Bushings are fine and I’m out about a grand in labor from my mechanic. So it sounds like they covered the shipping of your motor back to their shop, labor to open and inspect and ship it back. I’m assuming you never put the motor back in when you got it in the first place? BTW the customer service at Lycoming is horrible. No return phone calls and can’t get a hold of anyone there. My situation is a little more complicated. The engine had been in service for approx 18 months (Half way through the warranty). In the last two oil changes (I fly approx 100 hrs/yr), metals had been high/trending higher. I had been discussing the oil analysis with both Penn-Yan and SavvyQA, and at that point the consensus was to let it develop since oil filter and borescope failed to show any corroborating evidence. That changed when Lycoming issued SB632. Based on that and the oil analysis, SavvyQA recommended grounding the aircraft until the inspection could be done (this was before the FAA AD came out). I had contacted Penn-Yan concerning the SavvyQA recommendation; about the time the FAA indicated its intent to issue an AD, Penn-Yan requested I return the engine to them. I was under the impression at first that the cost coverage was due to the SB (which is what I posted here originally). However, after talking to them further, I discovered that I was incorrect. Their customer service worked it so that the warranty coverage was invoked concerning the metals/potential impending failure from something in the original overhaul. In essence, I got lucky – the confluence of the SB and my oil analysis issue resulted in my having ‘better’ coverage under warranty than the SB alone would have given me. The only thing I haven’t gotten back from Penn-Yan yet is the reimburesment promised for removal/reinstall. Nor have I gotten a response to my inquiry concerning the status of the reimbursement. And just an FYI, no issue found with the SB-632 inspection and they could find no source/unusual wear that would account for the oil analysis results. I’m about halfway to an early cycle oil change since the engine’s return, it will be interesting to see what the results are. Thanks for Clarifying Clayton. That makes since. Maybe one day Lycoming will step up and help meet us at least half way on the compliance inspection. On a side note talking about your oil analysis I had a surprise. I have blackstone labs do mine every oil change and AFTER the AD Bushing inspection my numbers came back way different then the trends. Metals were showing up and there was silicone detected. Basically I called around and this is “normal” after teardown. I’m about to change oil again and hope to get report back to my good trends I had developed. Thank for sharing your story about Penn Yan. If an AD is proposed by a manufacturer, the FAA is prohibited from considering ANY information or data provided by that manufacturer if that data is not made public and available to those whom it would affect. An exception can be made if the manufacturer agrees to pick up the cost of AD compliance. In this way, the manufacturer is disuaded from creating “revenue enhancement ADs” by having secret data. They have to reveal the data or no AD. The data also helps develop an AMOC by providing the evidence and basis for developing and substantiating the AMOC. If a manufacturer wishes to keep the data secret, then they can pay for the AD. I often find horrendously flawed analysis even in the small data that does get released for an AD. For example, the failure rate chart on the Cessna twin spar fatigue AD which would fail a first year stats class. The FAA made a totally bogus chart selecting apparently random numbers until the answer was “about right”. Until we get some balance in this process, expect the AD system to be manipulated like this for the foreseeable future. This is G/A. Your fault, my fault, Lycomings fault . . . It doesn’t matter: Owner pays!! And they wonder why many of us old timers just say it is no longer worth it to put up with the FAA and their AD mania and build under EAA experimental. I would take Mike Busch opinion to the bank when it comes to AMOC. AD could effect your engine?? AND if you do have a problem and it turns out to be related to the AD guess what your insurance will say about it?? Another reason I am glad I do not own a certified aircraft. Jim David… just because you don’t own a certified aircraft doesn’t mean that the AD doesn’t apply or that you are not required to comply with it. The Applicability section AD itself states that the AD applies to all engines that are listed in Table 1 of the Service Bulletin, so if your engine is listed, the AD applies no matter what type of aircraft the engine is installed on. This is because the AD is applicable to the engine, and not your airplane. Advisory Circular 39-7D further explains AD applicability. I waited 24 years to overhaul my Lycoming IO-360, and within 10 days of finishing the installation, this AD comes out. Out of pure luck, I had Rick Romans overhaul my rods and they informed me I had Superior bushings. Time to buy a lottery ticket. This is another example of why its good to stick with known equipment as long as you can. TBO is a myth, condition monitoring is savvy. Well, here I wait on Lycoming for parts. Tore my engine down on August 10th and found two bad rods. Sent them in right away. No word yet on when to expect the replaced/ reworked rods to be shipped to my mechanic so we can put the engine back together. Reading this post on 9/29/2017 it is apparent that the above post has some errors in the stated time frames. Allen, the dates are accurate, but I got lucky and was able to borrow the tool from a friend of a friend, also I was at the head of the line for rework because of this. I have no doubt that others will experience longer down time than I did. I have yet to get paid though. Good luck. Dates should be 8/10/17 for rod removal and we got them back on 9/6/17. Sorry for the confusion. 12/11/17 Got a Warranty Check finally today for $1287 for replacement of two connecting rods. That’s about 50 cents on the dollar of what it actually cost. Well 11/2/17 I filed the claim for the labor hours per the AD with Lycoming on 9/7/11 and have yet to see the check. Mike, could you please post your proposed AMOC. Also, the comment about being in the experimental category does not seem appropriate here. If your installed Lycoming engine has this rod end bushing installed, you will want it taken care of.